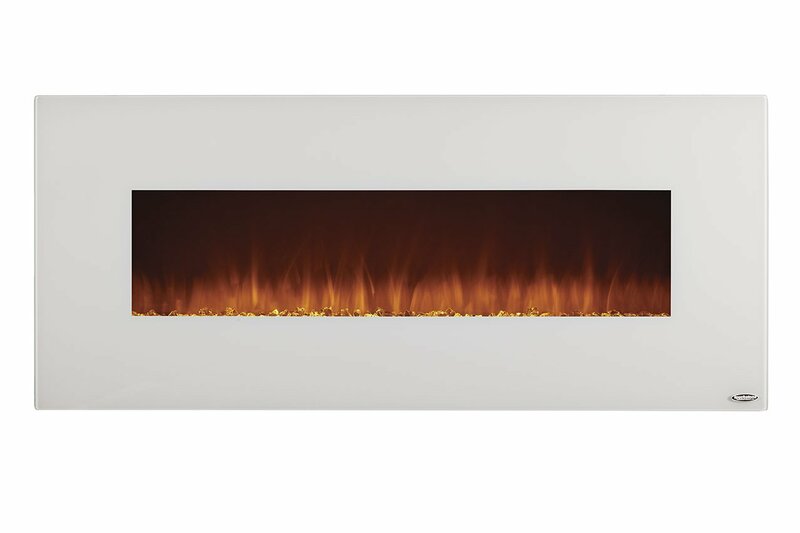 There are three finishes of this indoor fireplace which share the same heater box and flame effects. The ‘guts’ of the fireplaces are identical, the finishes are different. The images and videos focus primarily on the black onyx version, but it also comes framed in ivory (white) and a newly released frame-less mirror finish. The simple, clean lines are contemporary and will fit almost any design decor. In studying over 60 reviews of this fireplace not a single person complained about the quality of the fire and flame appearance. I find that fact stunning. 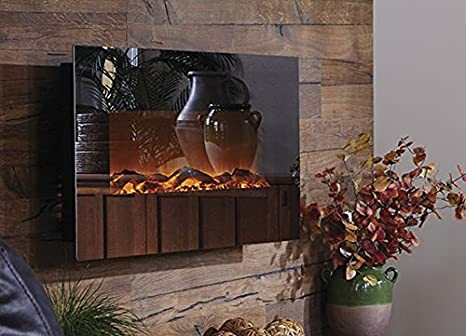 I believe this electric fireplace will meet or exceed your changing moods for fantastic fire effects, from gently glowing embers up to roaring fire. 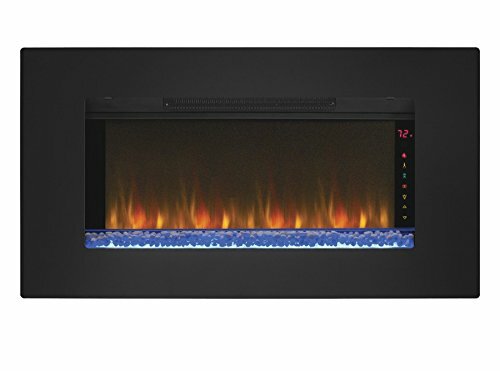 NOTE: If you have arrived on our site and have decided to buy the Onyx 50″ black electric fireplace then we recommend clicking through to Amazon.com and checking out this product and the daily discount. You will get very fast delivery (often free) and the great Amazon guarantee and service pledge. The different levels of flame and light create very different levels of light and ambiance to suit any mood at any time. The flames are a ‘natural’ color only. There is no special effects capability for different colors like blue or purple flames as is available on a few more expensive competitors. The flames are generated by long lasting, energy efficient, LED lights. The life expectancy is longer than regular bulbs. The access to change bulbs is underneath the heater box, on the bottom. The foreground of the logs is fixed and cannot be changed. When the unit is off you will see the log set (with the exception of the mirrored unit, which shows a frame-less mirror). In some fireplaces you can change out the logs, rocks or color of the sand (the media). Not so here. The glass is not permanently adhered to the firebox. Some owners complained about not being able to clean behind glass if dust got in or something got stuck. That situation is now remedied by the manufacturer and pertained to older models and is seen in older YouTube videos. As with most electric fireplaces, the electric fireplace heater is best thought of as a supplemental heat source. Your expectations may not be met if you are visualizing a primary heat source for your home. I believe that people who are disappointed in the electric fire box heat function may have slightly unrealistic expectations or did not understand the meaning of the specifications regarding the heating power. This unit is rated for being able to 400 square feet, producing 5,118 BTU’s, 1500 Watts and 11 and up Amperes, which is pretty standard for heaters of this size and class. So how much house will it heat? Well in reality, that depends. If you have a closed room such as a bedroom it will heat it pretty well. If it is mounted in an open concept living room with flow through kitchen or dining room the heat effects will be minimal. You may, however be able to scooch your thermostat setting down a few degrees which may help on overall heating costs. If you are looking primarily for a heater, you may be better served by an infrared space heater. Of course they will not be as cozy and are no fun to look at and cuddle in front of with that special someone. The fan in the unit forces the heat from the fire box vent which is across the top of unit hidden and is hidden behind the glass panel front. The top of the new units has a deflector which angles the heat forward. This deflector is a new addition and it was confirmed with the manufacturer that all 3 units (onyx, white and mirror finish have them). Again, older reviews and video may refer to models without that adaptation. 1. 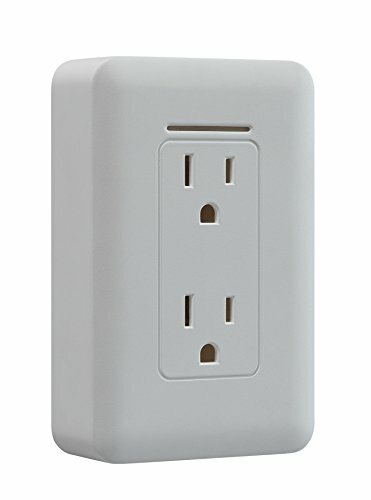 The unit is not designed to be recessed and flush mounted into the wall. It is not an in wall electric fireplace. The heat would be ‘trapped’ inside the wall creating a possible fire hazard. There is a switch on the back of the unit which will disable heat from being turned on at all. If you are looking for a flush mount unit, consider the Sideline Electric Fireplace which is similar in appearance, but with a forward discharge heat system. 2. You must take a careful look at what is mounted above the fireplace in terms of being affected by the heat. Heat rises. The manufacturer recommends a minimum of 24 inches if you are going to have a TV mounted above it, even with the deflector. Another option is to position a floating shelf between the fireplace and TV. The unit does not have a thermostat that would allow you to set a specific temperature and maintain it. It has 2 settings, low (750 Watts) and high (1500 Watts) and the unit will run continuously at those levels. Noise factor is a big consideration when comparing fireplaces. This unit is very quiet. Several buyers had trouble telling if the fan was actually on. They had to get very close to hear it. In the video there is a demonstration of how quiet it is. Since the level of acceptable noise is subjective, you can judge for yourself. This unit has manual controls located on the lower left side of the unit on the heater box behind the glass. This could be a consideration in where to position the unit on the wall. There is an on/off switch, heat and light level controls and a timer. The heat control has 2 settings – high and low. The flame control has 5 individual setting levels, from barely glowing embers incrementally up to full fire. The controls are push button and very small, not the easiest to read You will be operating by feel and effect. There is a built in timer that controls the shut off . It can be set from 30 minutes to 7.5 hours. 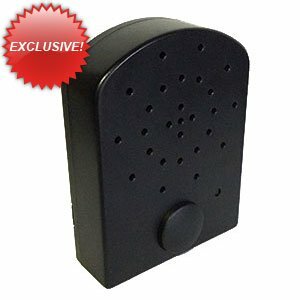 A remote control unit is supplied and all functions can be controlled remotely, including the on/off function. Count on using the remote for all functions pretty much all of the time. The unit does not have sound effects. The power cord is black and 6 feet long, with a 3 prong plug, it comes out of the lower right side of the fireplace. The hanging cord can be an aesthetic distraction for some people, ruining the clean lines of the unit. Some people have relocated a plug to be behind the glass overhang, snugged up to the heater box. In the recommended accessories section we have a low tech solution for hiding the cord. Never attempt to lift the unit by the glass front. You will pull the glass off. If you must lift the unit, or take it down, it is most safely done with 2 people, one on each side and lifting from the heater box. This fireplace comes with an automatic heat shutoff as a fail safe. The front glass does not get hot so it is kid and pet safe in that regard. The fireplace is certified by the CSA group which is an industry standard rating, safety and approval board. The fireplace can be run from a standard 120 volt outlet, plug and play. We would suggest not running multiple appliances or light from the same plug as you may risk tripping a breaker or blowing a fuse. The use of standard household extension cords is not recommended. If you must use one, make sure it is heavy duty designed for appliances. Check out our full post on electric fireplace safety. How easy is the assembly and mounting? It is very similar to hanging a heavy mirror or picture. The assembly of the unit is very straightforward and clearly explained in the manual; the glass will clip on the heater box with brackets permanently attached to the back of the glass and is then secured by 2 screws to the heater box. Hang the heater box on the wall first, and then hang of glass on the mounted heater box. 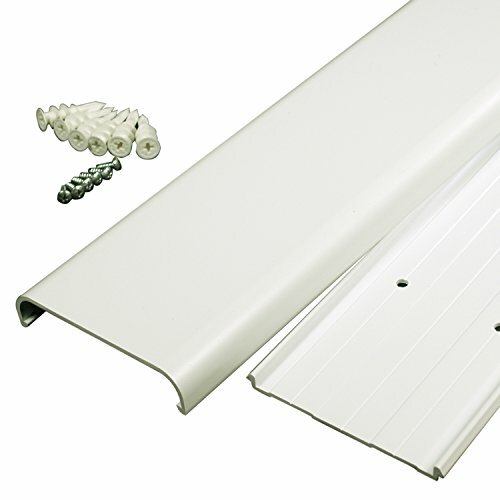 Special mounting screws/anchors for specialty mounting, for example brick as shown. In a nutshell, here is what you will do in hanging the electric fireplace…easy, peasy. 1. Secure mounting bar to the wall. 2. Clip the heater box on the mounting bar. 3. Hang the glass on the heater box which is attached to the wall. The fireplace comes with 3 drywall screws which attaches the mounting bar to the wall. Securing the mounting bar is the critical part of the process. Mount the bar securely, drill into studs, or use anchors if needed. That bar will support the 46 lb. fireplace when it is hung. Once the mounting bar is secure the fire box clips on to that. Then the glass clips on to the hung firebox. All in all this is an easy project. The mounting lit includes dry wall screws for basic wall mount. If you have, brick, stone or a special wall, you will need supplemental anchors and screws. A relatively simple project, a bit of time and voilà – a beautiful hanging electric fireplace. WARNING: Never try to lift the unit by the glass reach around and lift it by the heater box. 2 people makes it safe and easy. In calculating the cost of operation I will use some data gathered from other reviews. I was unable to get the power draw of the LED lights, so the cost of operation of the unit in flame only mode is an estimate. To operate on flame only mode I estimate it should cost about 1 cent per hour. That is the cost calculated of incandescent bulbs , these LED lights are more efficient. So, using the flame effects mode and assuming 5 hours use each and every night it would add about $1.50 per month to your electric bill. If you operate in heat and flame mode it will cost about $.18 per hour. So, running the unit every night for 5 hours would add $27.00 to your electric bill for the month. The 2 variables that will greatly affect your actual cost are how long you run the unit each month, and the cost of electricity in your state. 1. This site will show you your states energy cost per KWH or you can get it off of your electric bill (use residential column). Click Here: Your states energy cost. Values= 80 watts flame only, 1500 watts heat + flame, fill in your states KWH cost, hours used and generate results. The fireplace will protrude 5.5 inches from the wall. • Truly outstanding flame effects adjustable to 5 levels. • It is an extremely stylish, fashion forward focal point. • The same unit is available in 3 finishes: Black, White, and Mirror – matching any décor. • 1 year warranty from the manufacturer, Touchstone. • Heating function, though adequate is not outstanding. • It is a fairly heavy unit at 46 lbs. and needs secure mounting. • Consideration must be given to the cord and plug. Is it an eyesore? Check out this post if you want to learn more about general electric fireplace heater pros and cons. The Touchstone 50” wall mounted electric fireplace receives almost universal accolades from its buyers. In fact there were so few negative reviews filling out the ‘cons’ section was tough going. Over 80% of buyers on Amazon give this the flat out highest rating. To be short and sweet – at between $300 and $400, The Touchstone 50” electric fireplace is a great value. (See below for current price and discount). In comparing the Touchstone 50 to other 50” wall mount fireplaces in its class, while not the least expensive, it is certainly on the low end of the scale. There are a number of similarly sized fireplaces that are $600 – $1400 with no appreciably better rating or customer feedback. Oddly enough the white, black and mirror finishes were sometimes differently priced. The workings are the same for all 3. You may be paying a premium for a different cosmetic finish. If you are clear you want a large wall mounted electric fireplace this is a great candidate. It is a great way to create a dynamic focal point in any room. It packs a good combination of features at a very reasonable price. If you need something portable fireplace or are looking for a budget wall mount electric fireplace. The mounting bracket is permanently fixed to the wall. As with most electric fireplaces, think of the heat function as a bonus or being supplemental. It can take the chill out of a space, or in a standard size closed room actually do a good job, but it is not primarily a space heater. If you are looking for changeable media or different colored flames or a lot of heat, they are available in the extremely high end electric fireplaces. If you want soothing, cozy mood and ambiance, this fireplace will fit the bill. Think of any place in your house where there is currently a blank wall, a print or painting you are tired of and you will have a spot for this. Indulge your inner decorator or inner romantic. 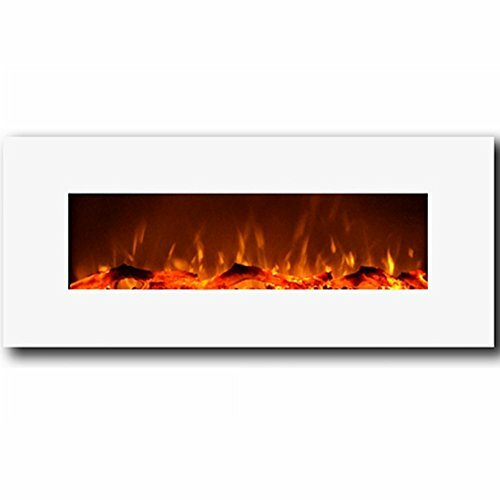 The Touchstone 50” wall mounted electric fireplace is a great combination of value and function. I happen to love the clean contemporary styling cues. I’m sure you will also. I just had mine installed yesterday and I LOVE IT!! The manual is a bit brief; I am copying this Cozybythefire write up to add to the manual. And it has choices, 3 for flame size and light, and timer. It is gorgeous! Even my carpenter installer fell in love with it. And you can’t beat the price. Thanks for your comments. You picked one of our favorites. We do a LOT of research to dig up the facts about a given fireplace. Glad we could help, that’s what we do.